Meet the needs of extremely thirsty lips with the Hurraw! 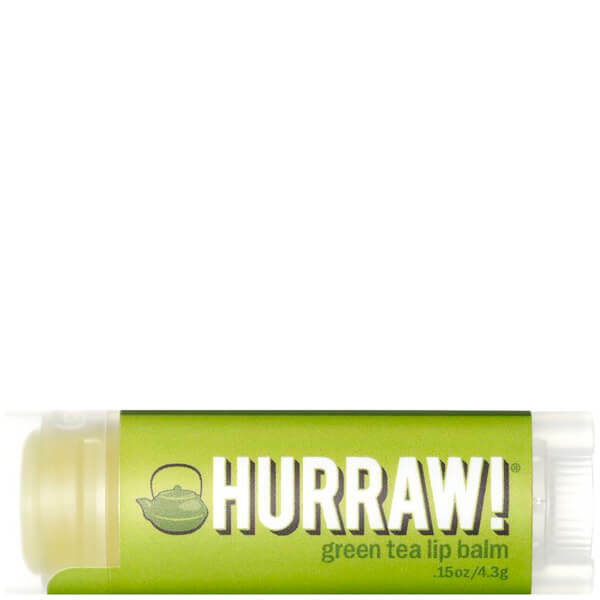 Green Tea Lip Balm; an ultra-hydrating formula that cares for skin using premium organic, vegan and raw ingredients. Instantly hydrating lips in one simple swipe, the creamy balm is infused with Organic Cold Pressed Hemp Oil, which is rich in omega fatty acids and therefore envelops lips in a veil of intense moisture. Dryness is eliminated with long-lasting effect. 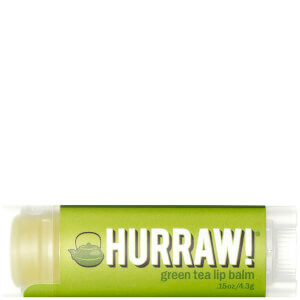 The balm is complete with a healthy dose of Match Green Tea for added antioxidant benefits. The hardworking formula strives to leave lips ultra-comfortable and fragranced with a subtle green tea scent. Prunus Amygdalus Dulcis (Sweet Almond) Oil, +Euphorbia Cerifera (Candelilla) Wax, *Cannabis Sativa (Hemp) Seed Oil, *Cocos Nucifera (Coconut) Oil, *Simmondsia Chinensis (Jojoba) Seed Oil, *Theobroma Cacao (Cocoa) Seed Butter, *Ricinus Communis (Castor) Seed Oil, Olea Europaea (Olive) Fruit Oil, *Camellia Sinensis (Green Tea) Leaf Powder, Organic Flavors, Tocopherols (Sunflower). *Organic & Cold Pressed.